If you are in an urgent need to sell your house quickly, but you do not have any living accommodation arrangements after the sale of your home, then the Sell House to Rent Back service has been designed for you. The Sell House to Rent Back service is specifically designed to ensure that you have guaranteed residence in the same house that you sell to us for a specified period of time. If you want to remain in the house after its sale, we will offer you a choice to rent the property back from us to remain there for a suitable fixed period. This service is designed to alleviate the stress of having to find a new residence if you do not have any move planned into another house. 4. Avoidance of an immediate move. A house move is one of the most stressful experinces. 1. 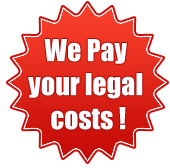 Threat of a repossession of your property due to outstanding mortgage payments or large debt. 4. Avoiding expensive and sometimes misleading equity release schemes that do not clearly detail the real costs involved. 5. Conversing the equity in your home to quick cash if you’re worried about the prices of property decreasing. 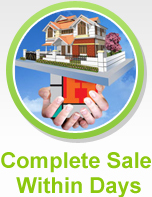 Talk to us if you want to move quickly on a sale. Over the years, we have helped many people continue their lives in such a manner and our advisors will closely assist you in the quick sale of your home, with as little disruption as possible. Contact us today to discuss your circumstances with a view to selling your home quick.